The end is in sight on our wonderful Advent Calendar Event, it has gone so quickly and I will really miss posting here and reading your comments, but you still have a few days left to win one of the fabulous Whiff of Joy stamps that Katharina is offering as a daily gift. There is a question to answer today - If you were offered the Holiday of a lifetime where would you like to go? - just leave your answer at the bottom of this post and check back tomorrow after 00:01 GMT to see if you have been lucky. 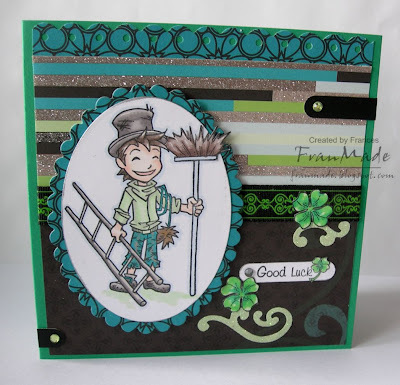 What a great stamp this Good Luck Charlie is, he is so versatile, don't forget if you would like to own Charlie then leave your answer to the question below this post before 11:45 pm tomorrow. Todays recipient of the Winter Love Sentiments and Charlotte with Her Reindeer has been chosen by Random.Org the number picked was - 27 - that is Kim from Crafts By Kim, we are really pleased for you Kim, could you please e-mail us your address and Charlotte will soon be speeding home to you. Don't forget to come back tomorrow to see the surprise behind Window 22. I would love to go to the USA again. I've been there last summer with my sister and we are still dreaming about going again. I would love to go to the UK or US, they have better and cheaper craft stiff lol I've never been overseas before. Gorgeous Card by Fran. The holiday of a lifetime for me would be a round the world cruise. I would see as many places as possible on the one trip. I've always wanted to go to Italy. I hope I will, one day. Let's see if the Goodluck Charlie will be so lucky for me. WHat a fabulous card!! Love that Charlie stamp!! As for a holiday - I think I would go just about anywhere. I haven't done any travelling so I am a newbie still!! hummm. I would like to take my hubby on a vacation out west. We live in the USA and he has always wanted to visit places like Mt. Rushmore, and historical old west places. He is not 68 and it doesn't seem like it is in our plans, but that is what I would like. I love this little guy! I would love to visit the countries that both sides of my parents originated, Scotland, Ireland, and England. Good luck everyone. I want to go to Australia or to Africa (we love animals!). This stamp image is tooo darned cute too- hoping since I got here earlier I might win it. LOL! Hey Katharina, is there any way you can get Rach address for me. 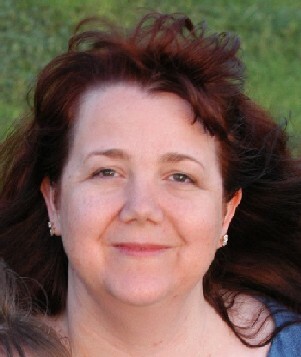 I miss her and hope her husband is well- would love to send her some happy mail. If so, can you email to me at steinrn@yahoo.com. Thank you. I would love to go to Australia or some exotic island like the Maldives. Oh this is an easy question.... I would love to return to Norway. I was there in 1999, and I think it's time to go again. I just LOVE that country! This is just the cutest stamp! It is on my wishlist! For my dream holiday, I would love to go on a European city tour. I moved to the US 10 years ago from Germany, and there are so many cities in Europe that I never got to see and/or was not interrested in seing while Europe was my home continent. Dream trip would be Australia. Although since I live in snowy Minnesota, any Christmas somewhere warm would be welcome!! I would love to go to Mexico..particularly Cuernavaca. I could use a dip in those hot springs right about now! I would go to the Netherlands - it's not too far away from my old home and I love this country. I have always wanted to go to Ireland. If I were offered the Holiday of a lifetime where would you like to go? Wow! This is a wonderful question, I've been thinking of this for a few minutes and I'd love to visit Germany, my dad died when my mom was pregnant with me (their first and only child) where my Dad was was stationed (Frankfort) and see where my mom and dad lived before I was born and they were newlyweds. Plus I'm German so it would be neat to see where my heritage comes from. Thanks for your beautiful Advent calendar! It has been lovely. Ive allways wanted to go to New Zeeland. It looks sooooo amazing! I would love to go to Italy it has been a family dream of ours. I would go to the Holy Lands in Israel. OMG you don't know how happy I am to be getting Charlotte and the Winter sayings! Katharina your stamps will have a VERY VERY HAPPY Home!!!! Thank you so very much!!! I am flying high right now!!!! I would love to go to Australia! It looks so beautiful there!! The answer now, as an adult, I would never want to be anywhere else in the world on the holidays but with my family. A cruise around the world would be my ultimate holiday. Maybe split up the cruises for each continent. My dream holiday would be to go to New Zealand. DH and I drool every time we see a movie set there. It is just so beautiful! Früher wollte ich immer nach Indien, weil es dort so schöne Märchen gab. Heute ist es mir dort zu warm. Mein Traumurlaubsziel ist Norwegen, da will ich unbedingt mal hin. Leider sind meine Kids noch sehr klein für die weite Reise und so bleiben wir in Deutschland, wo es auch schöne Urlaubsziele hat. Die letzten Jahre waren wir immer an der Nord- Ostsee. Süße Karte hast Du da wieder gezaubert. Der Schornsteinfeger ist echt allerliebst. I would want to go on a Nice carribean cruise! That has always been a BIG dream of mine! Id go back to Switzerland. I went when I was 10 but was only there 4 days and the memories are still fresh nearly 25 years later. Such a beautiful country!! i would love to go to the USA..i would love to see the grand canyon... so is my husband..this is my dream.. I love Sardinia and i would be happy to go there again. Also über Weihnachten möchte ich nur zu Hause sein mit meinen Lieben und nicht verreisen. Aber danach wäre mein Traumziel die Karibik oder USA. Where would I want to go?? Well, that's a hard one.. It would be either Scotland or Ireland then.. I love this Charlie stamp. I think if I could have a dream holiday I'd probably go to Vancouver because we went there for our honeymoon 12 yrs ago. We were only there 4 days and it rained the whole time but we still have very fond memories of it. I'd probably stop off at Florida on the way back so the kids could go to the theme parks. eine tolle Karte ist das wieder geworden, klasse. Weihnachten bi ich am liebsten zuhause, asonsten fahre ich oft zur Ostsee, mein Traumland ist aber Ireland, da möchte ich gerne mal hin. Chimney sweeps are said to be very lucky!! This one must be extra lucky!! If I could go anywhere then I would choose to go back to Australia and explore it properly. Or perhaps I would go and explore the States which I have yet to do! well I haven't been on a holiday for a very long time. but I like to travel the whole world some day. I don't think that that would ever happen but I can still dream about it couldn't I.
the card you're showing us looks very pretty. when I look to the image it makes me think about the movie mary poppins. hihi. Beautiful creation by Fran,love the stamp. I would love to go to Egypt to see the pyramids, Nile etc for my dream holiday. Oh, how dificult question. i would see so much things. I think i like to go oround the world, to see all that is posible. Hmmmmm...tricky question...I've always fancied going to Canada...I had a Canadian penpal when I was at school (we still keep in touch, but by email now), and would love to see Newfoundland for myself. I would love to go to Australia or Ireland. Wow - my holliday of my lifetime, would be something I've wanted to do for a looong time...I dream about traveling through France, Switzerland, Austria, and the countries nearby those - I want to experiance the great mountains, all the beautiful flowers and nature, the great buildings as all the castles, and to meet new people all over! Thats what I dream about! Hmmm America probably back to LA and vegas I went in 2000 with work ( a stamping tour - hard work eh?) and I would love to go back with hubby and kids. oh it's gonna be so sad when this ends. I would love to go to Kenya and go on safari. I've actually booked twice and both times have had to be cancelled. Once for a wedding and last time it was when all the trouble started when the elections took place. I guess it's not meant to be but a girl can dream. i dream of going to the USA, in peticular the big apple. thnks again for the chance to win. Fab card and lovely stamp. I've always wanted to go to Switzerland, when there's lots of snow, not to ski mind...lol. I would love to go to New England in the Autumn, meet up with some friends, go shopping in the craft shops and the fly fishing shops (for my DH) and enjoy the views. Great card from Fran. My life time wish for a holiday is going to Kenya on safari. I would love to visit my family in the US. I've only seen my cousins youngest daughter in photos. Would be amazing to see her irl! Weihnachten verbringe ich am liebsten Zuhause. Danach wäre ein Urlaub unter Palmen nicht schlecht. If I could go wherever I wanted I would pick Japan! Always wanted to go there and sample sushi all day every day! I would love to return to Australia. We only had a whistle stop tour last time meeting up with lots of relations and a few touristy things. I would love to explore more, and do the cross continent train journey. Would be great if we could also hop across to New Zealand, to catch up with family. Hoping Charlie is lucky for me. I would love to go to Germany. It is absolutely gorgeous at Christmas. They really know how to do Christmas there. We were there for 3 Christmases when we lived there and I really miss it. THe only thing I would want to do thoug is take all my family with me, so they could enjoy it too! Waw, I would like to go to Australia! Or maybe Mexico! Lovely card and pretty colors. Although I love to travel I prefer spending Christmas at home with my family and loved ones. I have spent 1 Christmas in another country and that just felt too strange! I want to go to Africa! ich würd auch gern 'ne kleine Weltreise machen, vor allem möchte ich mal in gegenden kommen, in die nicht der normale Tourismus kommt. Was für eine schöne Karte! Der Stempel ist super süüüß!! Tja, wenn da meine Flugangst nicht wäre, dann würde ich gerne mal in die USA oder nach Island reisen. Mal sehen ob ich mich irgendwann mal traue! Mein Wunsch wäre mal venedig, aber das wird sicher ein Traum bleiben. Meine Traumziele wären Irland und Norwegen, aber Weihnachten feiere ich nur zu Hause...bei meiner Mutch.. I have always wanted to go to India and Nepal and to see the himalayas...I was due to go in a gap year between school and university but it all fell through and the opportunity has never come up again. I'd really really love to go to Japan. I've done my holiday.of.life ^_^ I went in Australia... wonderful!!! I would love a tour of Europe-too many places to just name 1. I would love to see Italy, England, Scotland (ancestry), Switzerland, and I've always wanted to go to Holland to see the tulips. I have always wanted to go to Paris! But I love going to England too! I think that would be fun! This is a lovely card and such a funny stamp. :)) It's makes me smile. it would be touring South America from top to bottom for at least 6 months! Thanks again for this great chance to win! Merry Christmas Katharina. I have met such lovely people from Norway on blogland that I think this is the wonderful place I would choose to visit on my dream holiday. I would love to visit the Philippines - my mom is from there, and I'd also love to visit Germany, where my paternal grandparents came from. Thanks for another chance for a great stamp prize! love the card! So cute. I would love to go to the USA or Canada as I have never been yet. Great card. I would love to go to New Zealand. Thanks for the chance to win. Die Karte schaut toll aus. Wenn ich an Weihnachten frei habe bzw. Urlaub, fahre ich sehr gerne zu meiner Familie. I would love to visit my friend in Orlando, Florida. I would love to go too UK, France, USA or...many places;-) Maybe Goodluck Charlie will be lucky for me?!! I would love to go to England and the British Isles , then take my family to the places I grew up in continental europe. Good luck Charlie - I'm wishing on you. Love this stamp. Charlie was my dad's name and he has been gone 15 years-almost to the day. I live in the US and I would love to visit Ireland since I am half Irish. Of course I would have to take my family with me to make the trip enjoyable. I would love to see the British Isles with my husband, or go back to Germany/Austria. Isn't it funny how we'd go to where each other lives? This Charlie is so cute! Thanks for the chance. Die Karte ist auch wieder sehr schön. Weihnachten bin ich am liebsten Zuhause aber wenn ich Fernweh habe dann zieht es mich meistens in die warmen Länder. i would go to to finland, never been there so far though. I would love to go to Himalaya and trek to either Everest base camp or K2 base camp. I love the colour combination and the stamp is so cute. I would like to go to Switzerland I think. Eine super schöne Karte mal wieder. Am liebsten hätte ich alle deine Stempel!!! I'm very lucky to have traveled a lot already but I would really like to go to Australia and travel across the different parts as it is so vast and varied. I have relations there that I have only seen on their occasional trips to the UK. hmmm anywhere warm and sunny!!!! lovely card! Any where in the world? Hmmm, I would just love to visit Australia. I keep telling my DH that I want to visit there, but he keeps pretending he doesn't hear me. LOL! I would love to go back to Canada and see all my friends again, it's been so long since I've been back. Love the stamp ,it's so cute. I would go to Australia!!! It's my dream! I love all your cards! Let's see... if I could go anywhere in the world, I would choose a trip to Europe and see all the main historical sites. That could take a few months, at least! hehe! I noticed that Sandra said she wanted to go to the USA again... let's trade places for awhile! LOL! Would love to visit New Zealand and Australia. I'm a huge LOTR fan and loved watching all the scenary.